home are probably one of the quickest things to get dirty and no matter how much time you spend vacuuming you’ll still have dirt and grime stuck deep down within. There’s just no way to keep your carpets clean for long, no matter how careful we are or how many precautions we take. Our carpet cleaning service will help get that dirt that’s deep down in the carpet, bringing new life back to it. 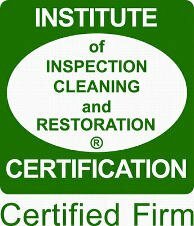 If you live in the Sacramento, Lodi, Elk Grove, or Stockton area, we can have a professional carpet cleaner out to restore your carpet back to it’s original allure. You’ll be happy to have it looking and smelling as good as it did the day you bought it! 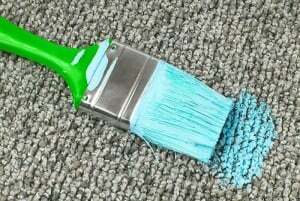 Carpet takes one of the biggest beatings in your home and can often be the most neglected. Life can be busy between work, the kids, pets, and having a social life, it’s easy to understand why a lot of people have a hard time getting around to something like cleaning their carpet. That’s why we at Spiker Carpet and Tile Care make it easy to schedule appointments, get the job done, and get your life back on schedule, fast! Neglected Carpet isn’t only unsightly for you, your family, and your guests, it can also be a hazard to your health and quality of life. That’s why it’s important to find a time that’s best for you to call on a professional to clean deep down into your carpets to remove dirt, grime, allergens, and even germs and bacteria. We will clean it efficiently, in a timely manner, and at a reasonable price. Give us a chance to show you just how great your carpets can look, smell and feel, and you’ll be glad that you did! If you live in any of the listed areas or anywhere in between, give us a call to schedule your appointment today, and get ready to improve the energy in your home substantially! We look forward to hearing from you! Click on the different cities to learn more about what we do, how we can help you, and even get tips and tricks on helping with pesky odors and stains, and how to neutralize bacteria while you wait for the professionals at Spiker Carpet and Tile Care to arrive and clean the mess up for you! We promise that you will be glad you did! We take great pride in the work that we do and we know you will too! 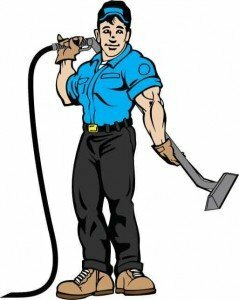 With our hot water extraction process for carpet cleaning we get rid of dirt the better way. You may know this process better as steam cleaning. We employ the highest heat we can for your particular carpet type so that the most amount of dirt is removed. It’s likely your carpet manufacturer recommends steam cleaning for a deep clean too, and this method WON’T void a warranty. We offer the best carpet cleaning because we work hard to get out stains and remove odors from pets too. We know you love your pets, but they can sometimes be pretty messy and smelly. Our commercial carpet cleaners use Scotchgard™ treatment to protect the future of your carpet if you’d like as well. If you’re ready for a carpet cleaning service that will get your carpets looking beautiful again, we’re here for you. We use a powerful detergent along with our steam cleaning, which cleans your carpet without the use of things like fluorochemicals and brighteners. We give your carpet back it’s soft and plush look. It’s likely it will take your carpet 4 to 8 hours to try after a cleaning. You won’t want to move furniture or anything else back until the carpet is completely dry. We offer great carpet cleaning packages that include the pet package, as well as packages for high traffic areas and other stains. These packages can include pre-treatments and more. We also offer our Scotchgard package to protect your Carpets. Carpet Cleaning Reduces Bacteria and Other Pollutants.